Wire mail cart holds 75 letter-size or legal-size hanging folders. Design features a contoured raised handle for easy steering, front swivel casters and smooth-gliding rear wheels. Bottom shelf holds bulk mail or packages up to 50 lb. Top basket measures 15" wide x 18" deep x 5-1/2" high. Bottom shelf measures 15" wide x 18" deep. 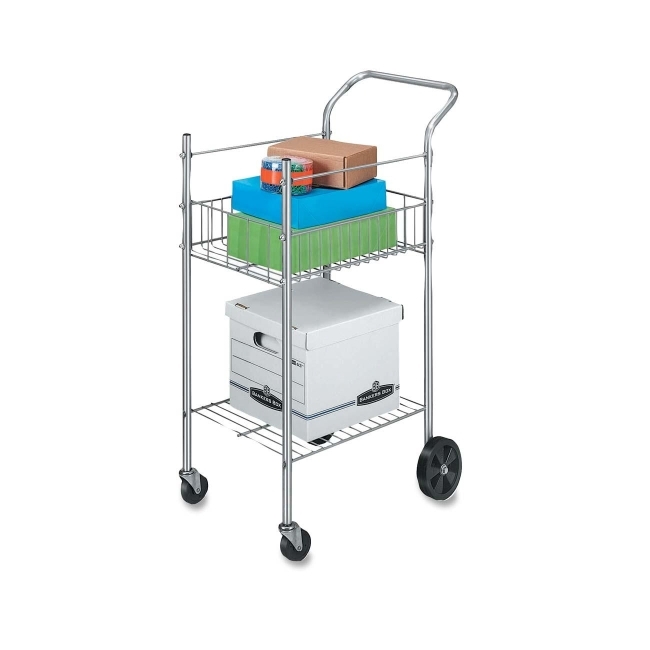 Mail cart is made of chrome-plated steel wire and holds a total of 125 lb.